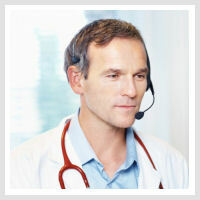 Dragon Medical Practice Edition 4 is the right speech recognition solution for your clinical setting, as compared with non-medical Dragon offerings. Featuring among other functionalities: special medical vocabulary, EHR support, data encryption support, special medical formatting, medical search commands, and is compatible with the Nuance professional microphone Powermic III. We offer on-site one-to-one and group training courses enabling you to use your speech recognition and digital dictation solutions both quickly and effectively. Using a secure cloud-based app, clinicians can use their voice to securely capture the patient story more naturally, efficiently, on their terms. Dragon Medical One provides a consistent and personalised clinical documentation experience that spans solutions, platforms, devices, and physical locations. Portability to work at any workstation with the Dragon Medical One Desktop Application. Our extensive range of Digital Dictation devices include Olympus Digital Voice Recorders, transcription kits and the latest ‘Olympus Dictation Management software’ (ODMS) providing award winning workflow solutions.